Vindaye Poisson (Mauritian Fish Curry) | Simple. Tasty. Good. Vindaye poisson (or fish vindaloo) is a traditional dish from the island of Mauritius located in the Indian Sea near Madagascar. It’s allegedly named after a derived form of vindaloo. The major component that makes this dish so delicious is the acidity coming from the vinegar. You can eat it hot served over cooked rice or accompanied by bread and a fresh carrot salad but it tastes even better the day after! Juyst keep the vindaye in the fridge overnight then. It’s a great cold lunch or starter on a hot day as well. To give the vindaye an extra flavor kick you can soak the red onions in some white wine vinegar 30 minutes before preparing the dish. Make sure you choose a good quality fish that doesn’t fall apart easily. 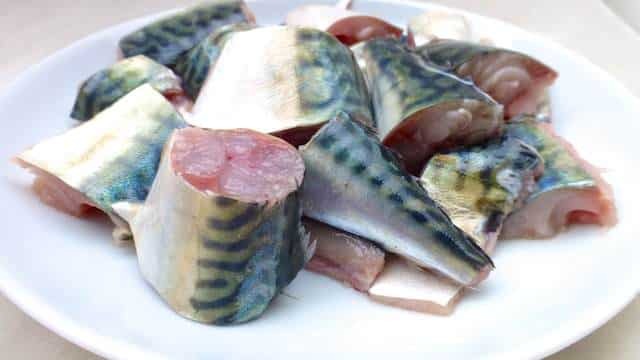 Swordfish, tuna or barracuda (if available) are perfect. 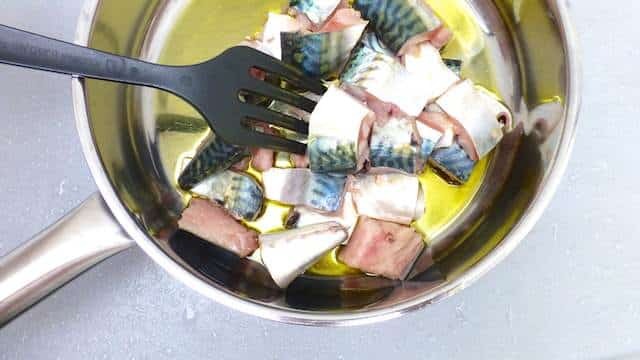 This time I used fresh mackerel. Its smoky flavor goes extremely well with the vinegar. Do you love Mauritian flavors? 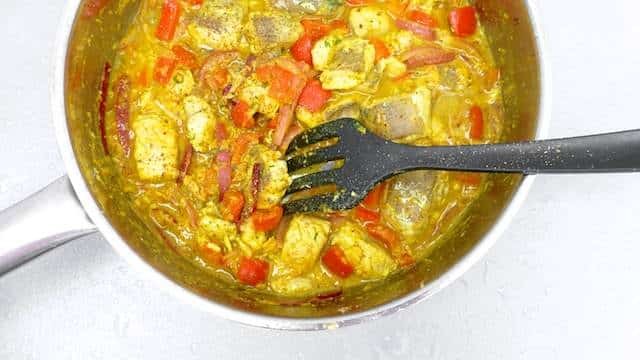 Then check out my creamy chicken kalia with ginger! 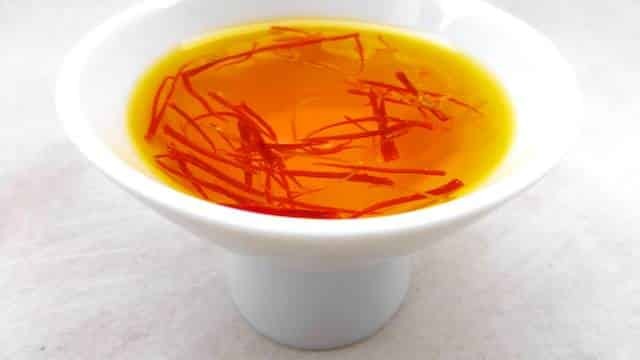 Combine the saffron and 2 tablespoons of cold water. Let it soak until needed later. 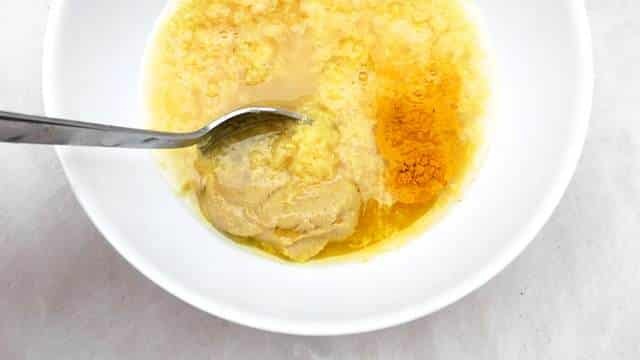 Add the ginger, garlic, sugar, white wine vinegar, turmeric powder and mustard to a bowl. Stir until you get a thick paste. 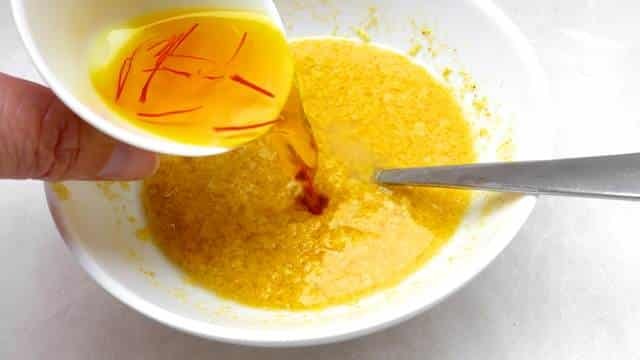 Then add the saffron water. Stir again. Put this spice mix aside until needed later. Rinse the fish and pat it dry with kitchen paper. Then chop it into pieces. 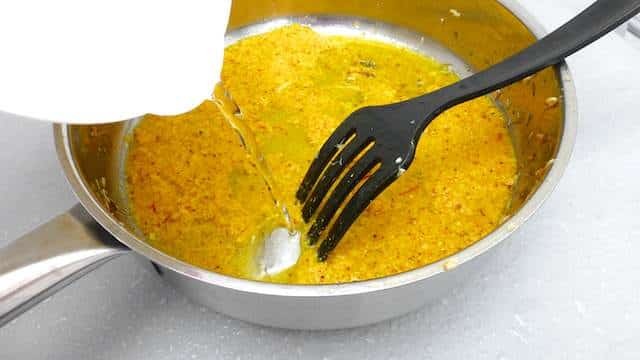 Pour some vegetable oil in a large non-stick pan and place it over medium-high heat until hot. Then add the chopped fish. Quickly fry the fish on all sides for 3 minutes. 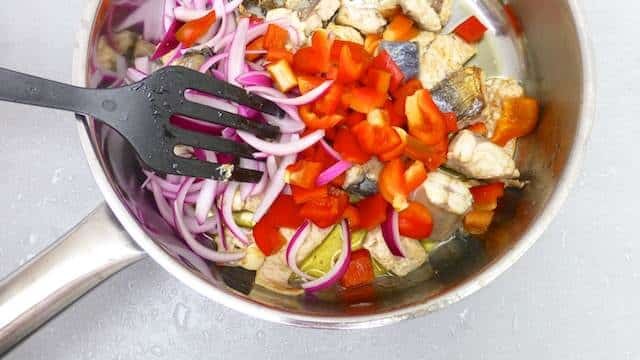 Add the chopped bell pepper and onion. Cook for another 2 minutes. Transfer the fish and veg to a clean plate. Lower the heat to medium. Then in the same hot pan pour the spice mixture you put aside. Add half a cup (120 ml) of water. Stir well. Simmer the mustard sauce for a minute. Then add the fish and veg back to the pan. Stir well and then cover the pan. 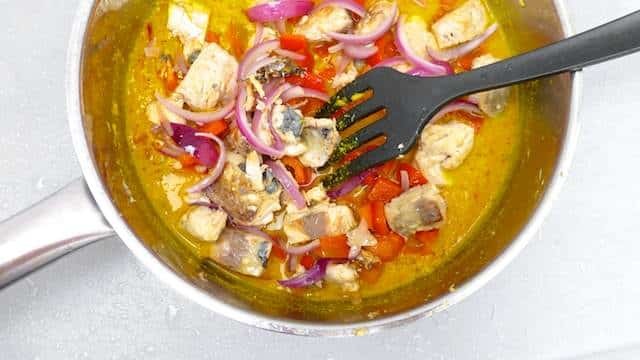 Simmer the vindaye poisson for 10 minutes until the fish in cooked through. Check the seasoning and add extra pepper or salt to taste. Scoop the vindaye poisson onto plates. Serve with rice.